Most people have a set of incorrect ideas about CP. I believe this has occurred as an unexpected consequence of well-meaning doctors and therapists who started the first organized CP clinics back in the mid 20th century. At that time, most of the children with CP were severely involved with severe spasticity and body distortion. Since common wisdom decreed that the brain injury could not be healed, the attention was focused on the orthopedic problems. Hence the birth of the Shriner’s organization, staffed primarily by orthopedic surgeons. The only treatment for spasticity was repeated phenol injections. Gradually, new health care teams extended their mandate beyond orthopedics and started to expand the diagnosis of CP to include all the comorbidities as well as the obvious problems of motor control. In 2007, a new definition was published. The larger problem relates to widespread sub specialization and knowledge overload. I have found that most people do not realize how comprehensively the medical and surgical sub specialties are divided. “We would not use a real estate lawyer to organize a complicated merger or the acquisition of a large business. Lawyers may be competent in their defined area, but knowledge, especially new knowledge, is segmented and hard to access. The same is true in medicine.” 3 What does this mean for the child with CP? After 40 odd years of diagnosing CP, I have a good ability to spot major visual or hearing problems. BUT, I am not an expert in either area. They need to be referred to a specialist. The major unexpected consequence of CP Clinics assuming the care of comorbidities, is that the majority of children never see an up-to date specialist for some of their problems. Care is focused around what is available in that particular CP clinic. Insurance providers and networks are part to of the problem, but one reality of modern medicine…in all areas…is that parents need to learn how to ask the right questions (How Doctors Think by Jerome Groopman, MD – What Every Parent Should Read) and all of us have to become empowered to seek out the best possible advice. The days of the all-knowing GP…or CP Doc…has been lost in the swamp of too many patients, too little time and far too little awareness of emerging new treatments and approaches. Lewis Rosenbloom, “Definition, classification, and the clinician”, Developmental Medicine & Child Neurology, 49 (s109)(2007): 43. The entire supplement describes the creation of this definition. Annemieke Brouwer et al, “Neurodevelopmental Outcome of Preterm Infants with Severe Intraventricular Hemorrhage and Therapy for Post-Hemorrhagic Ventricular Dilatation”, The Journal of Pediatrics, 153 (2008): 648-654. In this study 83% of neonates with Grade III and 46% of those with a Grade IV bleed were neurologically and cognitively normal at 2 years corrected age. 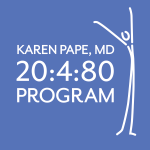 Karen E. Pape, The Boy Who Could Run But Not Walk: Understanding Neuroplasticity in the Child’s Brain. Barlow Books, Toronto, 2016. From Chapter 5. Where do we go for info on aging with CP. family member is approaching 60 and the LTC staff are encouraging her to get a scooter or electric wheelchair. Her pride is resisting. I doubt if the staff really know what is best for her. Tough question. I would get an evaluation by a physiatrist or a specialist in geriatrics that are used to assessing the problems of aging. In my experience an electric wheelchair can be disabling, but some of the light scooters give independence and decrease exhaustion.